Lisa,Lockwood Riley and Priscilla. I l’amour Lisa!!!. Wallpaper and background images in the Lisa Marie Presley club tagged: lisa marie beautiful presley. 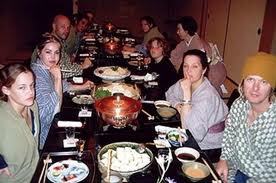 This Lisa Marie Presley photo contains dîner de vacances, repas de fête, table à dinner, table à dîner, and brasserie. There might also be smorgasbord, plats à emporter, antipasto, and ramen.